A new Wireless Joystick Kit, an SSOP to DIP Adapter and a USB Wall Charger lead off 2017! Hello, and welcome to 2017! We made it, people. We got through 2016 somehow, and now it is time to focus on the future (and some new projects)! For the first week of 2017 we were welcomed by a rather massive snow storm here in Colorado, but that hasn't stopped us from bringing you three brand-new products: the SparkFun Wireless Joystick Kit, a 16-pin SSOP to DIP Adapter and a USB Wall Charger (found in our Blynk kit). It's going to be a much better year, so let's get started! Control anything the way YOU want! The SparkFun Wireless Joystick Kit provides an easy way to control your next XBee project. Before the wireless joystick, radio-controlled projects used hobby RC transmitters, the same that are used for RC cars, boats and planes. The problem with these transmitters is that many aren’t customizable, and the ones that are tend to be too expensive for many of us. 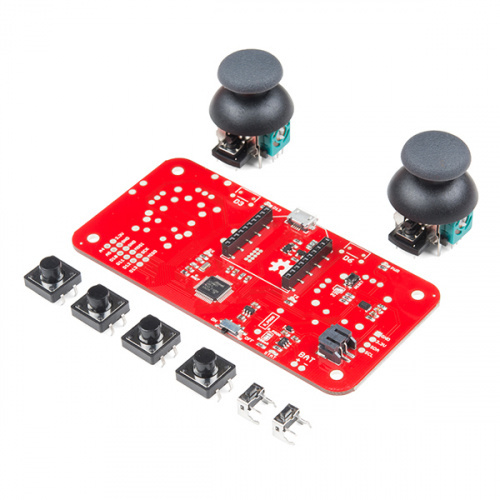 The SparkFun Wireless Joystick Kit offers a custom wireless solution for those who want to control their project their own way. The SparkFun 16-Pin SSOP to DIP Adapter is a small PCB that lets you adapt SSOP packages into a DIP footprint. 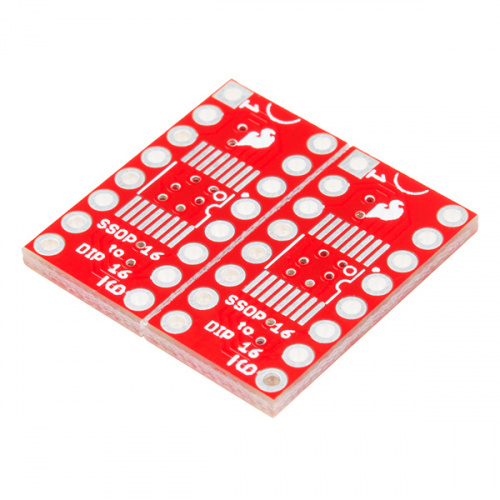 These small boards are useful for modding and upgrading devices that use 14- and 16-pin DIP ICs, when the upgraded IC is only available in an SOIC footprint. You can also use these adapters for prototyping by making SSOP packages compatible with solderless breadboards. Each adapter comes with two boards that can easily be snapped apart. USB is being implemented as a power connection standard more and more these days. But you don’t always have a computer on hand, so how are you going to power all of your sweet USB devices? 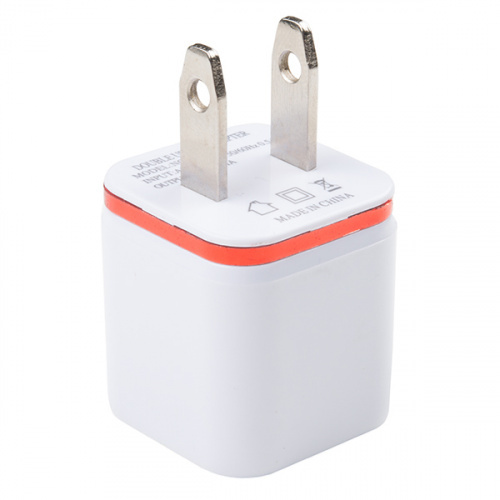 How about a high-quality switching wall charger? This white AC to DC power supply will do 5V at 1A! These wall chargers work with 100--240VAC inputs. That's it for this week, folks! Next week is our annual Inventory Day, but we will still have some great new products to show off, so be sure to check back in with us. Speaking of inventory, you can still save big by shopping our Clearance Sale until midnight MST on Sunday, Jan. 8! Have a great new year! We know we will. I strongly disagree with the statement of rc controllers not beingg customizeable and more expensive. The th9x rc controller has quite a bit of adjustments that can be used for rc vehicle control. You can also load custom firmware. Also the price of your controller kit is about the same after you factor in that you need two xbee devices along with the controller. Friday Product Post: Pedal to the Metal!